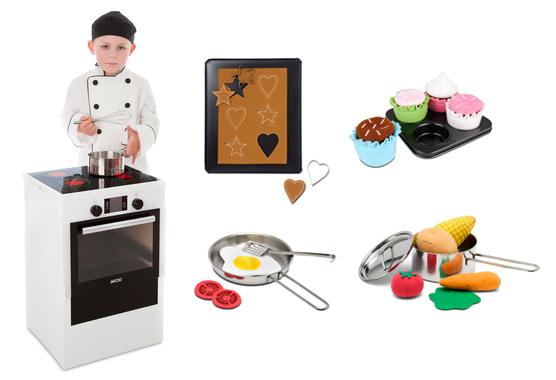 With a modern and realistic stove, great accessories and a proper chef’s outfit, we want to inspire more fun and games for cooking and baking! In the autumn there will be a campaign with a competition and other entertainment which specifically focuses on More fun and games with food! Naturally this will not be food for consumption, but food we can play with in the play kitchen! A modern stove with luminous plates on the hob. Fried egg and vegetables in a pan and saucepan. change the topping of cupcakes. A new farm which is designed based on a real farm close to Gemla. The roof is open so that children can easily reach the animals inside to play with. The new farm can be assembled, which makes it easy to put together when the children want to play and it can quickly be dismantled when it is not being used. There are also new large and small bags with Pippi themes for those who love Pippi.Pippi has been given a new, pretty wooden bed to sleep in. And of course her footprints are on the pillow! There will also be nine new jigsaw puzzles for the autumn! The size and level of difficulty vary, but all have classic Pippi illustrations by Ingrid Vang Nyman. new bags and nine new Pippi jigsaw puzzles. 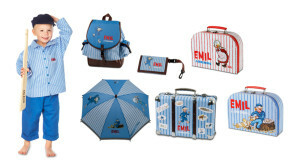 Emil will turn 50 next year! 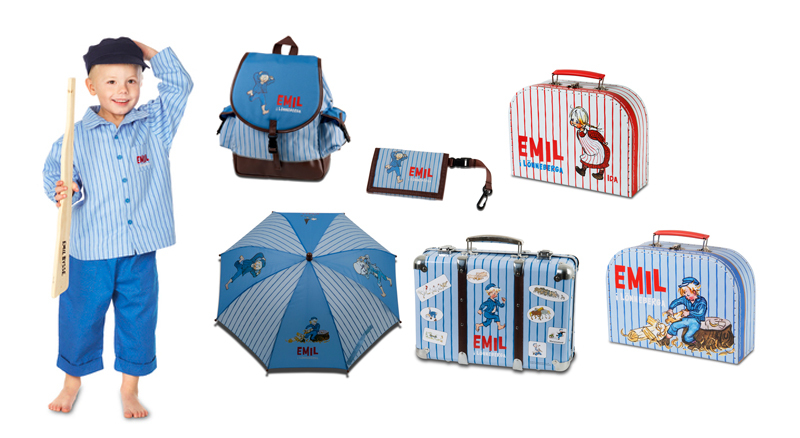 We are launching great Emil products ahead of this celebration! New bags, rucksack, wallet and umbrella. And little sister Ida now has her own bag! The products can be purchased in stores and online from mid-August.